Cost to install marble flooring varies greatly by region (and even by zip code). Get free estimates from flooring contractors in your city. Cost to install marble flooring varies greatly by region (and even by zip code). The average cost of installing marble flooring is around $3,600. How much does it cost to install marble flooring? Marble floors are beautiful, versatile, and come in a wide range of colors and styles. There are many different marbles to choose from, some of which are common and less expensive and others that are rare with a higher cost. The average homeowner installing a 200-square-foot foyer of marble in their home spends around $18 per square foot installed, for a total of about $3,600 for the project. Marble is a type of metamorphic stone that contains large amounts of calcite. In basic terms, marble is heated and compressed limestone 1 that has undergone a chemical change to become harder and more durable. Marble in its purest form is white, but the other minerals present in the formation of the marble dictate its final color. Because those other minerals may have higher or lower concentrations, this means that marble varies tremendously in color and vein pattern from piece to piece and sometimes within the piece. Those minerals may also make the marble stronger or weaker depending on their presence and concentration. This means that no two types of marble are ever exactly alike. 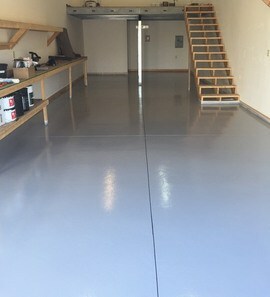 This is a pro for people who want to have a truly unique floor. However, it can also be a drawback for those who want consistency. Sometimes marble can vary so much that a sample seen in a showroom may not give a true indication of what it will look like in your home. Marble is more durable than limestone 1 as a general rule. It can, therefore, handle a high-polish finish or have a matte, honed surface. This, combined with the numerous colors and styles available, means that you can include it in many different designs. Marble is not durable as a rule, however. It can easily scratch or etch where the weaker surface particles of the stone may be removed by contact with acids. White marbles may “stun” or bruise with impact, which is a drawback for people who like to wear high-heeled shoes. Some marbles are also extremely fragile and may develop cracks or fissures in their surface if used in high-traffic areas. It is always best to consider the type of marble you are getting and its rating to determine if it is going to work in the area you intend it for. Flooring patterns with marble are often more limited than with other tiles. The majority of marbles are available in 12-inch square tiles. Some more common tiles, like Bianco Carrara, willare also be available in a range of other sizes such as 3x6, 6x6, 6x12, and 12x24-inch tiles. It is possible to have your installer cut a 12-inch tile into other, smaller tiles and shapes to achieve different patterns, but this will increase the cost of the project by roughly 25%. Straight set: square tiles set in straight lines. Diamond: square tiles set at an angle. Step: a larger tile with a smaller tile set at the top corner so the tiles “step” off one another. Cut corner: a larger tile with the corner cut to accommodate a smaller tile in its place may be one cut per 4 tiles, or 4 cuts per tile. Running bond: an offset pattern produced using either square or rectangular tiles. When used with rectangular tiles, this is sometimes called a subway pattern. Herringbone: this pattern uses rectangular tiles, and is much less common with marble, as because it typically utilizes a 3x6-inch tile, which not all marbles are available in. Mosaic: any tile measuring 2 inches or smaller is considered mosaic. Most marbles are available in ⅝-inch mosaics installed in 12-inch sheets. They may also be put together to create decorative and innovative patterns using multiple colors. This can create a mural or a medallion, and each color of stone and each pattern will have its own custom pricing. Any pattern other than straight set requires 10% to 20% more material to achieve and costs between 10% and 20% more to install. So, a straight-set Bianco Carrara floor may cost $2,800 while the same floor in a diamond pattern may cost $3,360. High hone: This finish is not polished but has a slight sheen to it. It is most common on softer stones. Hone: A honed finish is a flat, matte surface finish. Many marbles are available with a hone, but honing tends to show off faults or issues in the stone’s surface. So, more fragile stones will not be honed. 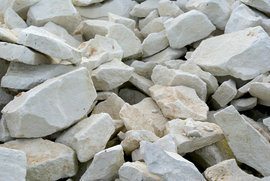 Tumbled: Tumbling involves putting the marble tiles into a drum with pieces of concrete and sand. The tumbling action rounds the corners of the stone and antiques the finish. Chiseled: Chiseled finishes are less common. They have a honed surface with an antiqued edge. Flamed: Not all stones are available flamed. This technique heats the stone until the the top layers flake away, resulting in a rough but even surface. Tuscan: Many popular marbles may have a Tuscan finish, which is a softly undulating surface covered in wax. This makes the tile soft and smooth underfoot and requires less maintenance. Like all flooring materials, marble is divided into classifications that let you know whether or not the material is good quality or meant for use in a specific area. Stones are given a grade of A through D. These grades or classifications take two things into consideration - quality and color. Typically, a Grade A stone is more consistent in color as well as higher quality and more durable. It will also be more expensive than the same stone with a B, C, or D rating. In some cases, a D rating can mean a stone that is weak, contains fissures, or will not support weight. However, sometimes a D rating simply means that it is not consistent in color. Stones like Verde Luna and Giallo Sahara are both highly durable, beautiful stones that often get ratings of C or D. This is because both stones vary tremendously in color from piece to piece, which makes it difficult to get consistency. If you are looking for a good deal on stone and are not picky about color, you may want to consider looking at stones graded C or D. While some may appear consistent in color, like Crema Marfil, and are very fragile, others may be wild in color but durable. These more wild stones often produce stunning floors, particularly when used in large enough spaces. In many ways, marble tiles install like other tiles of different materials. The installation begins with a dry fit or dry layout. With marble, it is recommended that several boxes of tile be opened at once, and the installer should mix tiles from different boxes to get an even color distribution. Taking too many tiles from one box could lead to a color clump. By blending during the dry fit, it ensures an even installation. During the dry fit, the tiles are cut to fit the installation, then taken up in the reverse order that they will be put down. Marble should always be installed using a white, latex additive thinset unless the marble is green, in which case epoxy should be used. Otherwise, the marble installs like other tiles. If large-format tiles are used, back buttering and beating in are needed. If mosaics are used, then smoothing of the key marks is necessary. Once the marble is installed, 24 hours need to pass before grouting. It is recommended that the marble be sealed prior to grouting to prevent staining. Marble has a couple of additional steps in the installation process, including the dry fit and the sealing, so labor costs are usually slightly higher for marble than other tiles. It is common for marble installation to cost around $9 per square foot. So, for a 200-square-foot foyer installation, the labor portion of the costs would be approximately $1,800. Marble is considered a high-maintenance material, but the amount of maintenance required varies from marble to marble. Most marble is porous and absorbs moisture. Therefore, it needs to be sealed regularly with a silicone-based impregnating sealer. A well-sealed stone will bead water off its surface like a waxed car. If your marble stops beading water, it needs to be resealed. Some cleaners break down sealants more quickly than others, so using a PH-neutral cleaner made for marble not only helps prevent etching to the stone, it will also keep the seal in place longer. Marble can stun or bruise with impact, particularly white marble. Avoid wearing high-heeled shoes on a marble floor to prevent this. Never use a beater bar on the vacuum, and sweep the marble regularly to prevent particles from scratching its surface. Mop with a soft cloth as needed, using a PH-neutral cleaner. Wipe up spills as soon as they are noticed to help prevent staining. Marble’s biggest rival in terms of looks is polished porcelain tile, which is made to look like marble. Porcelain does not scratch, etch, or stain, and is therefore lower maintenance than marble. However, a polished porcelain has no pores, which gives it an unnaturally glossy surface that is also very slippery. Polished marble, despite its gloss, is actually non-slip because the pores can help grab your feet. In addition, the sealant used on marble provides anti-skid features. When deciding between marble and porcelain, keep in mind that while porcelain is less maintenance and less expensive, it will not have the variation in color or the range of patterns that marble can produce. Marble should not be installed over an existing floor because it could lead to cracks. Therefore, if you have old flooring already installed, you need to have it removed. This can cost from $200 to $2,000 depending on what was previously down. You can do this job yourself in some cases to save the expense. Your installer will likely install a cement backerboard over your subfloor prior to installing the marble. However, if your subfloor is in very bad condition, this may need additional work first, which can add another $100 - $200 to the job. While marble will always be at room temperature, it can sometimes feel cold underfoot. This is due to its smooth surface. If you live in a cold climate, you may wish to use throw rugs over the marble to help make it feel warmer underfoot. Well cared for marble may help increase the resale value of a home, but marble is high maintenance and does stain easily, so in many cases it does not impact the value of a home. Marble requires expert installation due to its variation and the many variables involved. It’s therefore not recommended as a DIY installation. Marble is porous and can be impacted by freeze/thaw conditions. It is therefore not recommended for outdoor use in cold climates, but may be used outdoors in some areas. 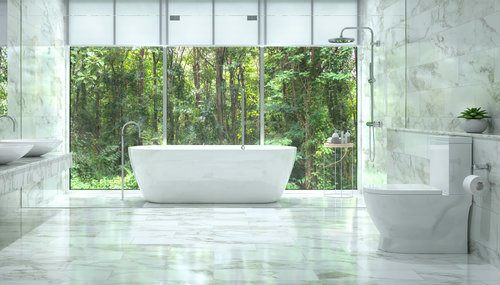 Marble is a natural material that does not have a significant impact on the environment. It is quarried from the ground, however, and often shipped from overseas, which means it cannot be truly considered a green material. If desired, you can install radiant heating beneath a marble floor. Costs range from $6,000 to $14,000. Your marble will require at least one coat of sealer. This is included in the higher labor costs of installing the marble. If your marble needs a second coat of sealer after grouting, this may be something you can do yourself to help lower the final cost. What is the cost of marble per square feet? Marble costs typically range from $5 - $20 per square foot. Is marble good for flooring? Are marble floors hard to maintain? How long do marble floors last? ​A well maintained marble floor can last for centuries. Do marble floors scratch easily? Marble is made of calcite and is naturally soft and porous. It can scratch or etch under certain circumstances. How much does it cost to install marble flooring in my city? Cost to install marble flooring varies greatly by region (and even by zip code). To get free estimates from local contractors, please indicate yours.